There is a beautiful river that runs in front of Auntie Alice’s cottage. We walked up the riverbank one day this week as the weather was so lovely. 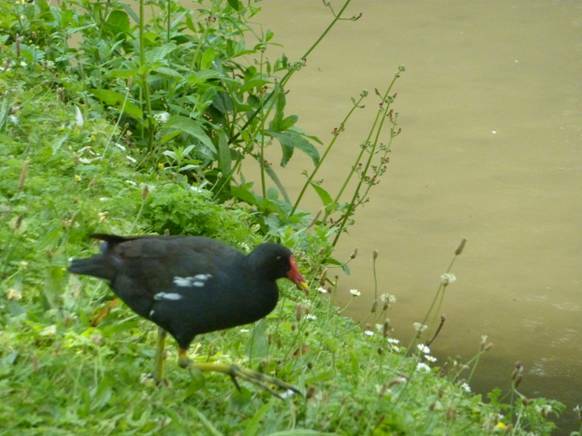 There are many birds that live on the river. 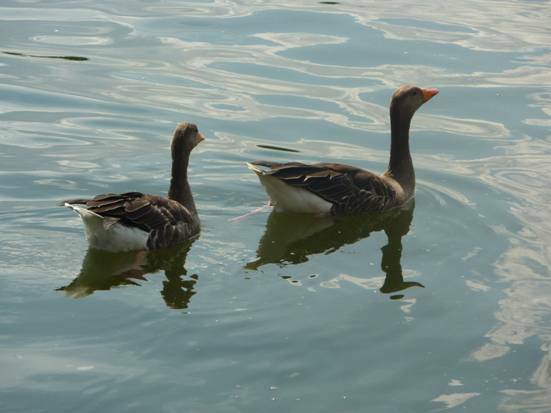 These birds are called waterfowl. 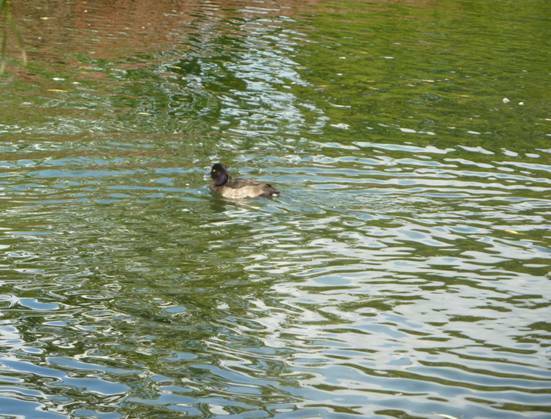 The noisiest are probably the ducks. 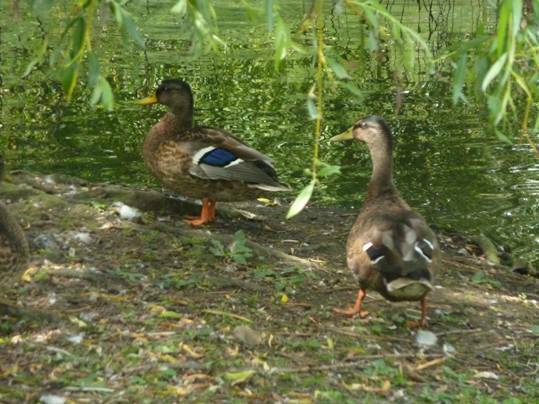 ln the springtime, they quack all night as well as all day! Just like l have got used to the noise of seagulls around my lighthouse all night, Auntie Alice has got used to the sound of ducks around Rose Cottage. 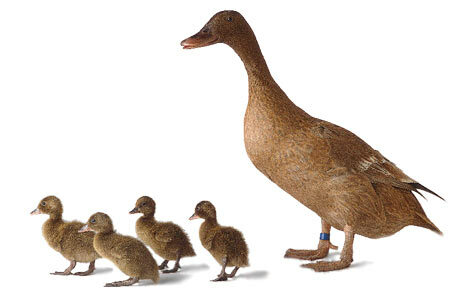 Ducks are related to swans and geese but are much smaller. 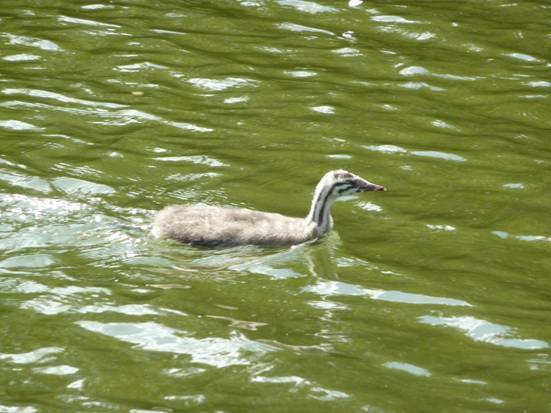 You may have some on a lake in your local park. 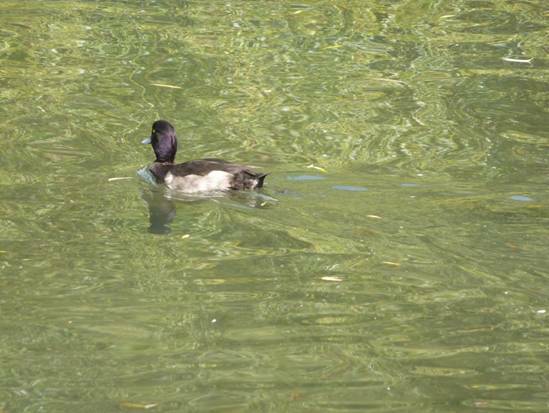 They seem to like to be swimming on the water for most of the time. 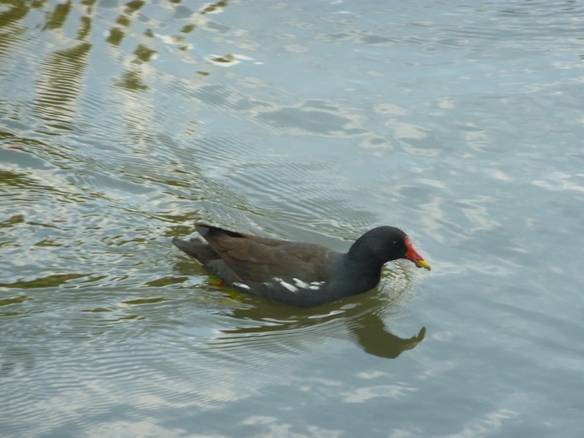 The males are called drakes and the females are called hens. 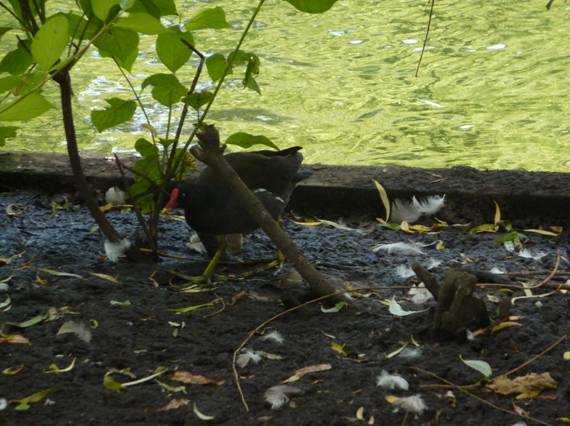 The males usually have more brightly coloured feathers; the females have feathers that are more useful as camouflage when they sit on their nests. 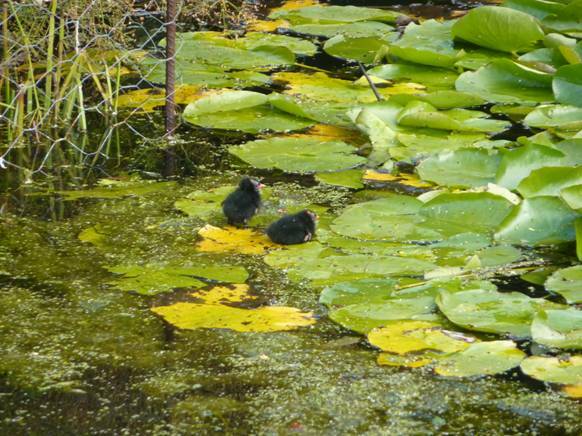 That means that they can’t be seen very easily when they sit on a nest built between the reeds by the side of a river or pond. 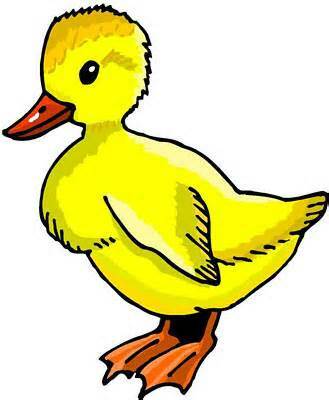 Ducks can lay up to a dozen eggs at a time. 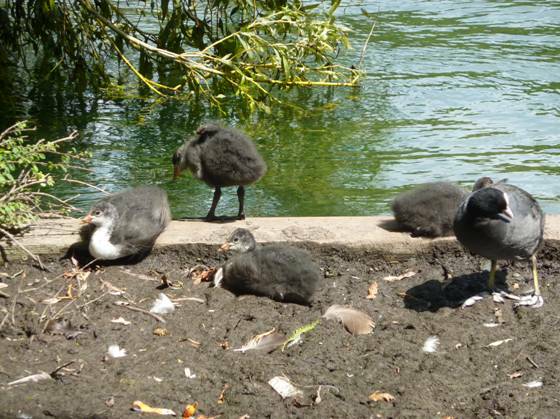 The babies are called ducklings and are especially cute. 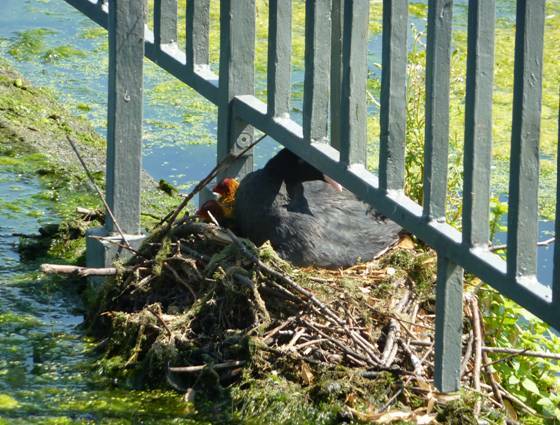 They are able to leave the nest within hours of being hatched to search for their own food. 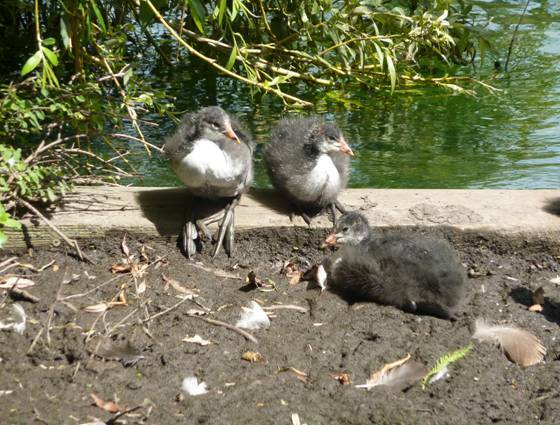 They can fly within a couple of months. 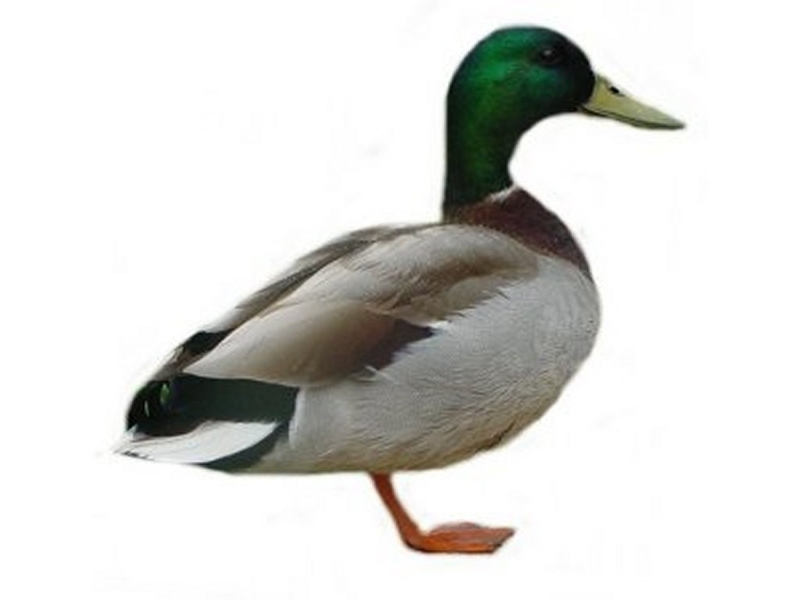 Ducks have webbed feet. That means that they have skin between their toes. 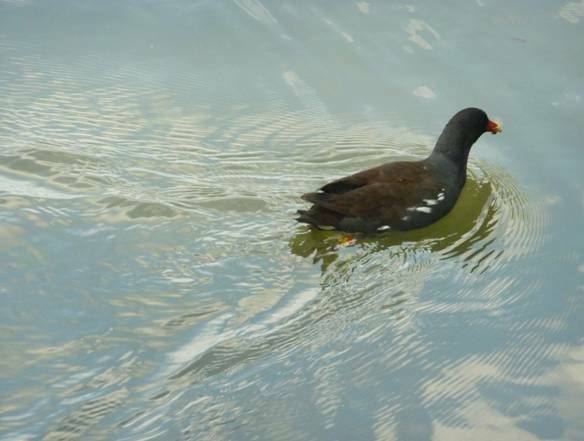 Their feet are designed to help them swim; they act like paddles pushing the duck along in the water. There are no nerves in the feet so they don’t ever get cold in icy water, their feet are very dry so that they don’t get stuck to the ice. 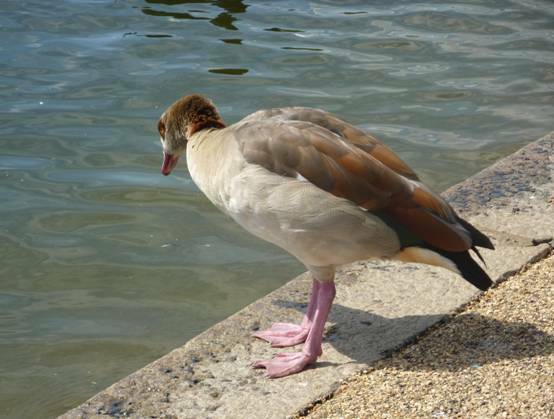 But having feet like this makes the duck waddle when it walks on dry land. 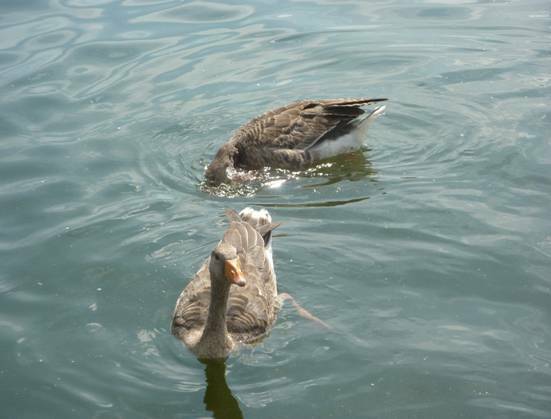 Ducks have two kinds of feathers. 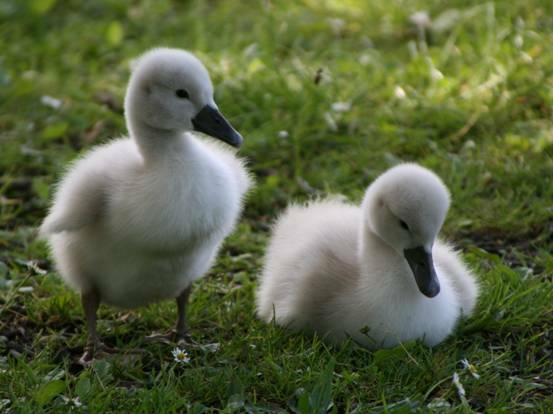 They have soft fluffy ones next to their skin and tougher feathers on top. 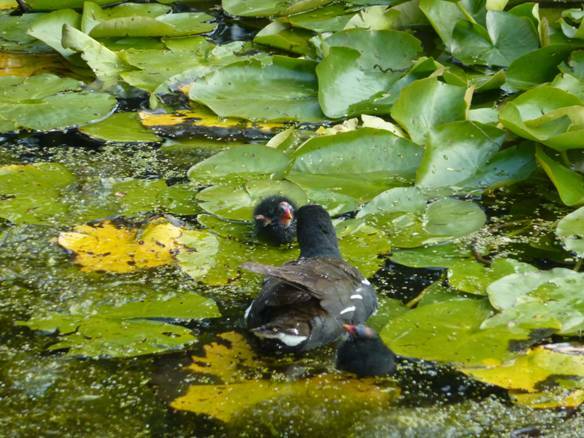 These top feathers are covered in a sort of oil that the duck produces from a gland. 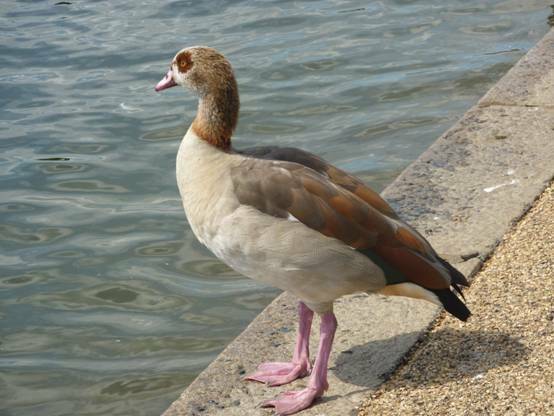 They spread the oil over the feathers with their head and beak (sometimes called a bill) when they preen themselves. 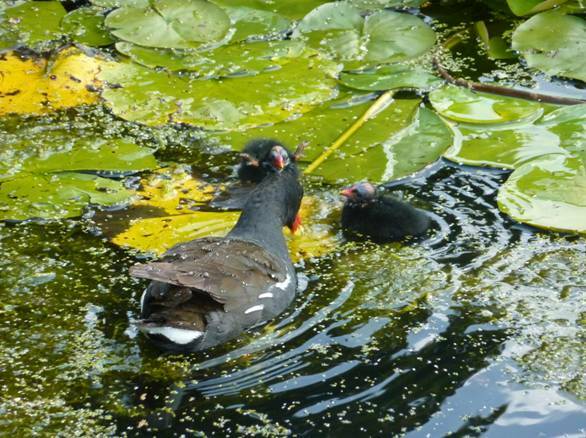 This oil makes the feathers waterproof and so the ducks never get waterlogged when they are swimming. 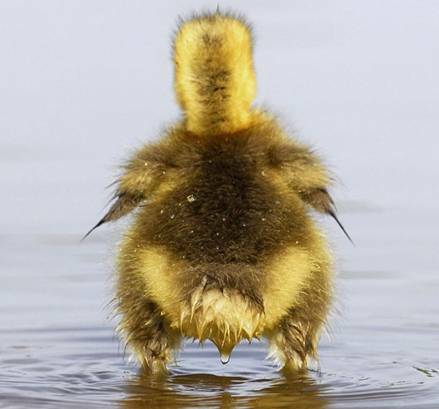 You can see that if a duck is ever splashed, the drops of water sit on the feathers like little glass beads. 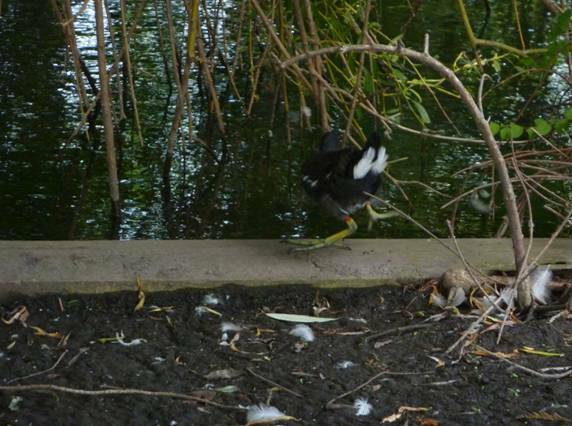 You sometimes see ducks stretch their necks down into the water to reach for plants and insects to eat, and their tails are stretched upwards; this is called dabbling. 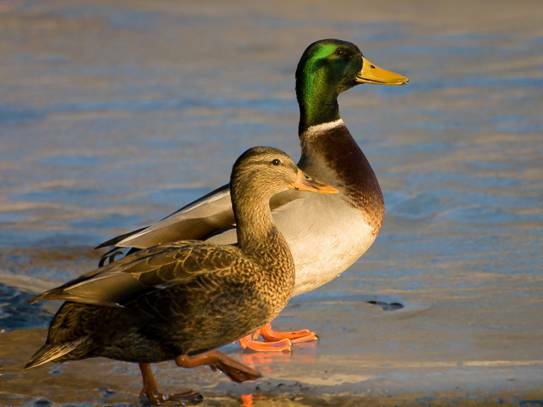 Ducks are found everywhere in the world except in Antarctica which is too cold for them. 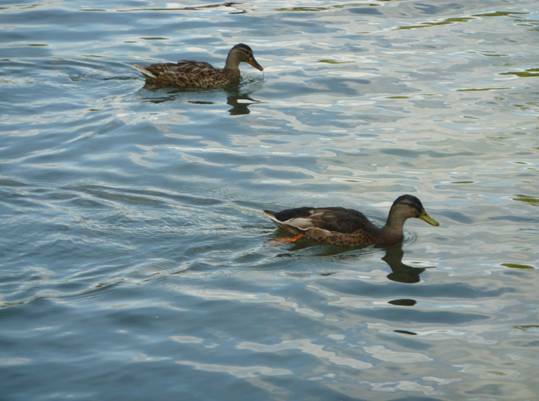 Some ducks migrate; maybe thousands of miles. 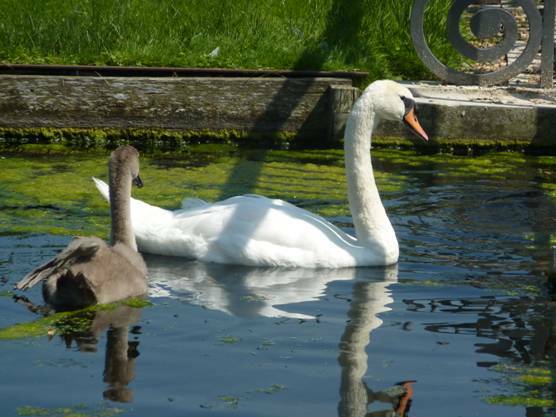 There are also swans on the river outside Rose Cottage. 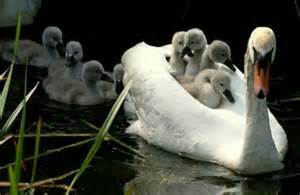 They are the largest birds there. 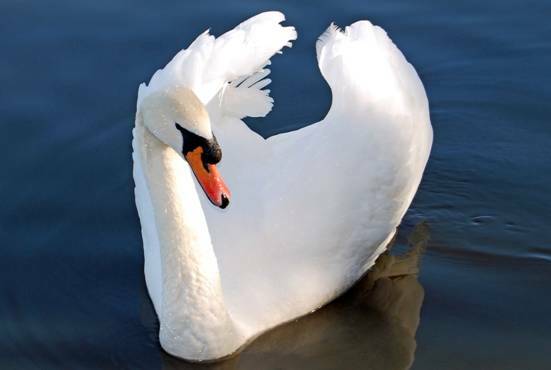 Swans are the heaviest birds that fly. 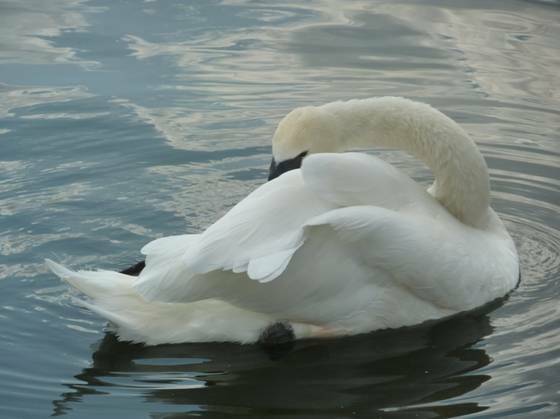 A well-known thing about swans is that they mate for life. 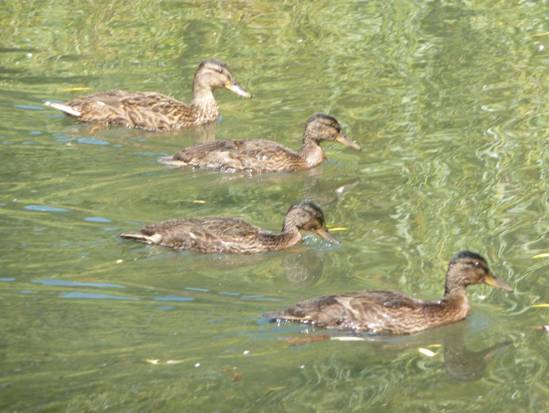 They don’t have as many babies as the ducks have, maybe only three at a time – although they can have up to eight. 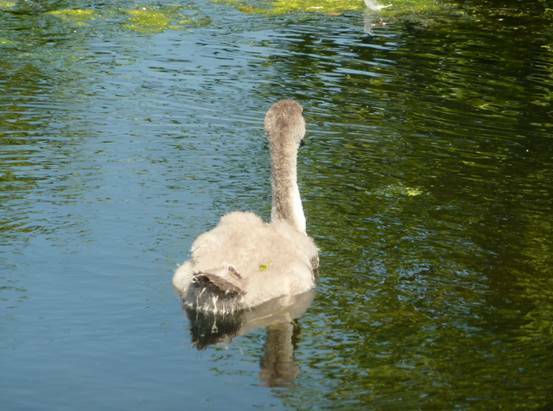 The babies are called cygnets (pronounced signets) and are grey and fluffy as they are growing up through their first summer. 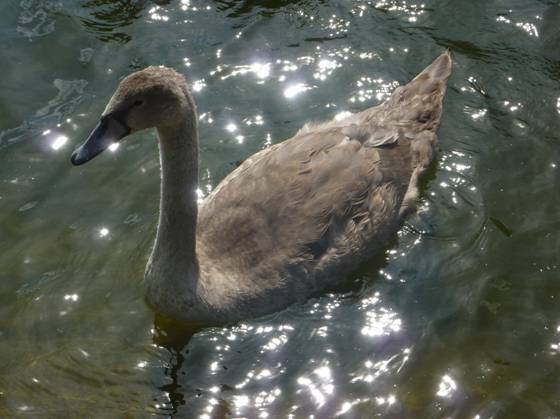 ln the northern hemisphere, swans are white but in the southern hemisphere, they can have black markings or be completely black. 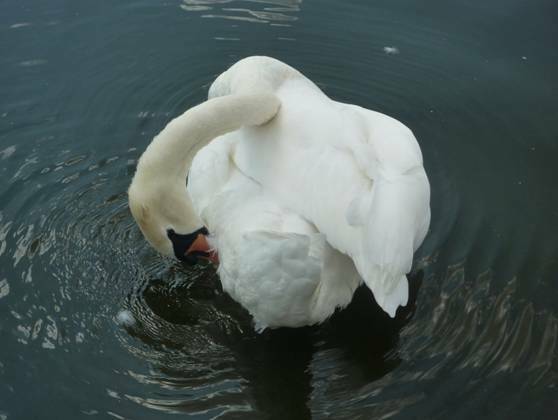 Swans mostly eat plants; either on land or in the water. 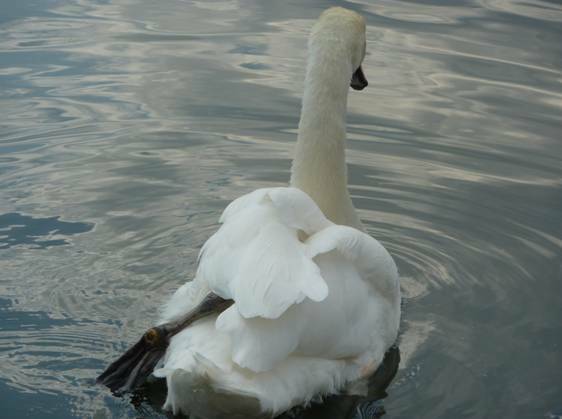 People have always liked swans; there are many stories and legends about them. Many people use them as emblems. 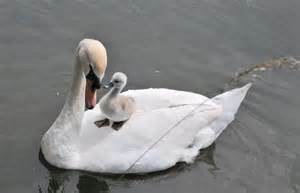 The Queen has a prerogative over all swans in England and Wales and sometimes she gives swans as gifts to people all over the world. 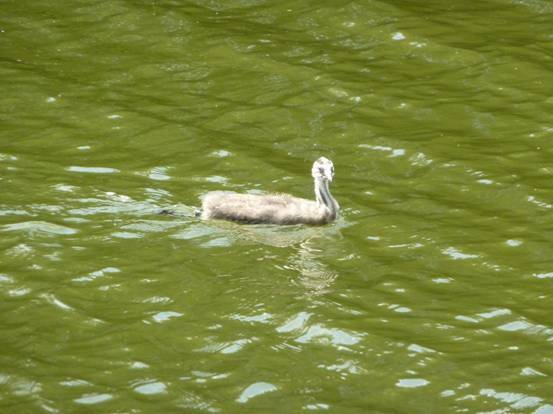 There is an officially appointed swan-keeper to oversee the welfare of the swans. 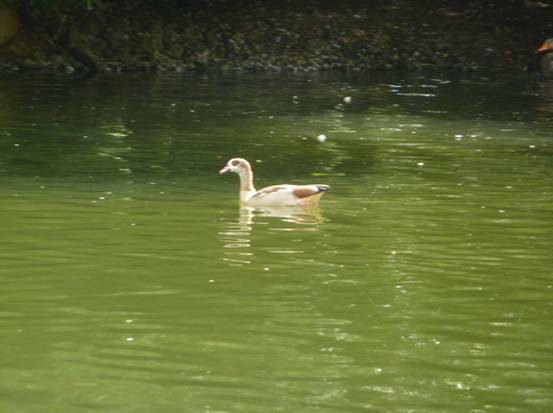 There are many types of ducks and swans. 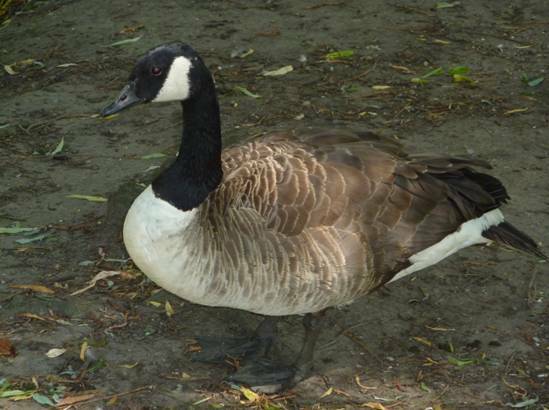 They can live from 10-20 years; that is quite a long time for birds. 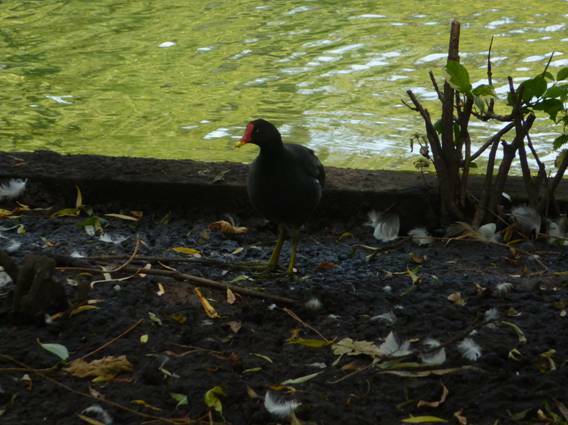 There are also moorhens and coots living on the river. Some people confuse them and they are related; but you can easily tell them apart. 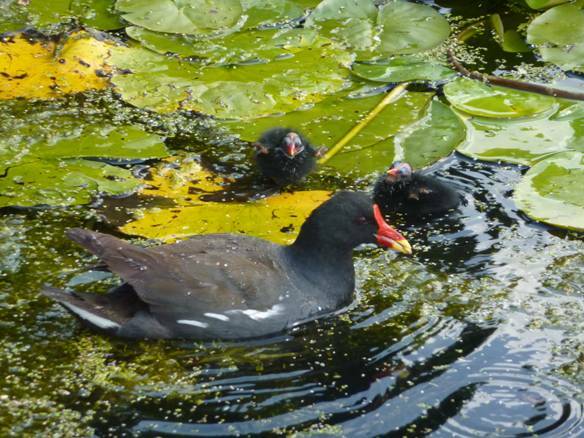 Moorhens have a red bill and red markings on their heads and coots have a white top to their heads. 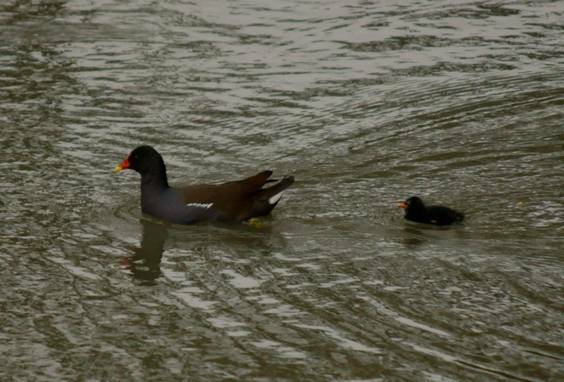 Remember the saying ‘as bald as a coot’ and it will help you identify them. Also the word ‘moorhen’ and the word ‘red’ both have an ‘r’ in them. So now you will know the difference! 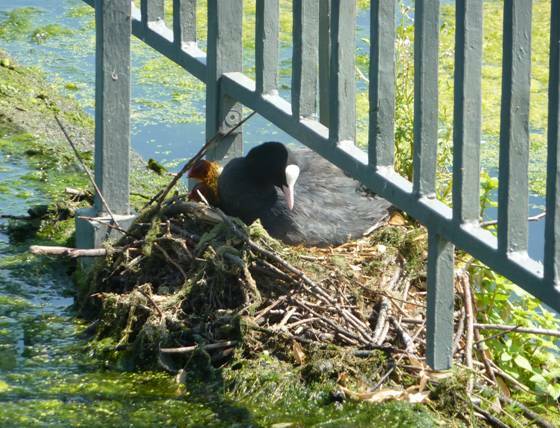 Coots are more aggressive than moorhens. 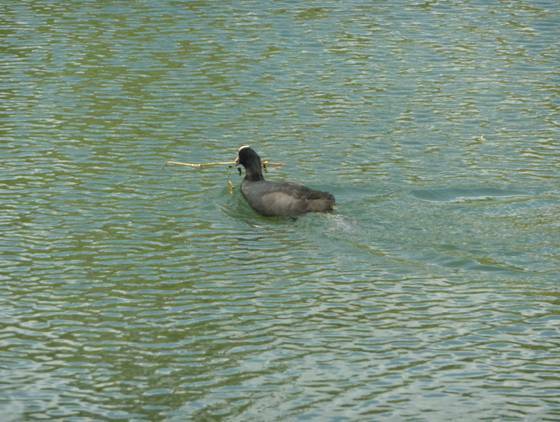 Coots even chase ducks sometimes which are bigger than they are. 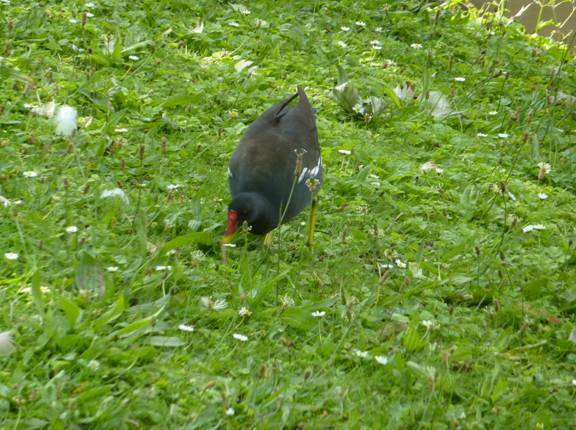 Moorhens are quite shy. 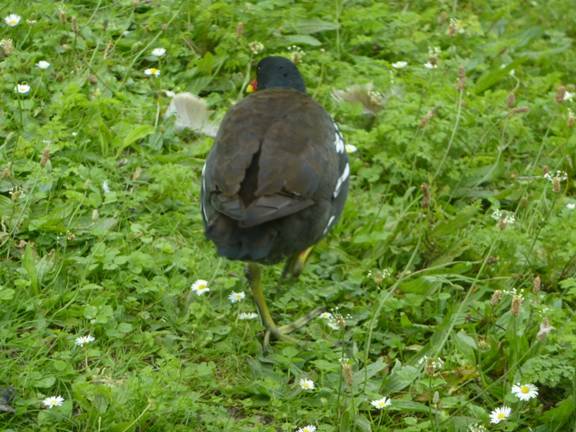 Both these birds have very long, wide toes which help them walk over soft, marshy ground where they go looking for food. They are omnivores; which means they eat a variety of food, not just plants. 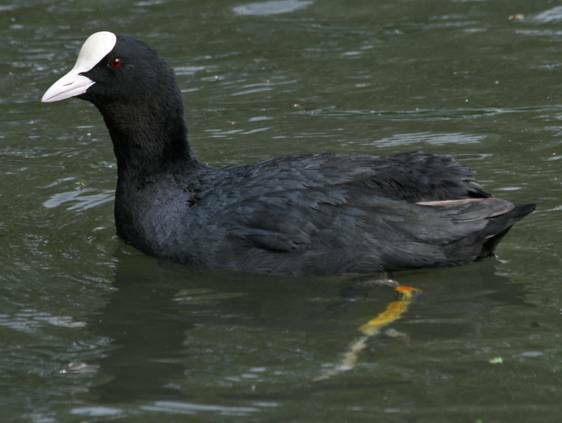 The coot is plump and has a short tail. 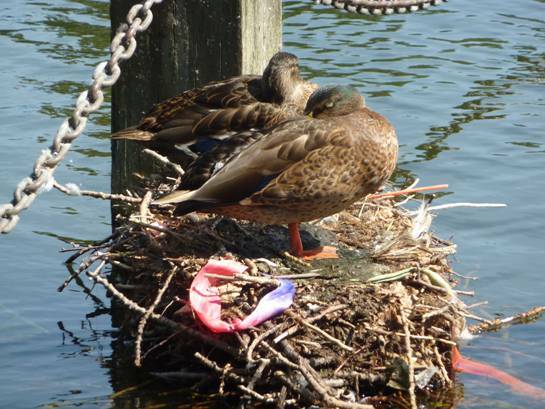 Unlike ducks, the father helps to incubate the eggs; that means to sit on them and keep them warm until they hatch. This takes about a month. 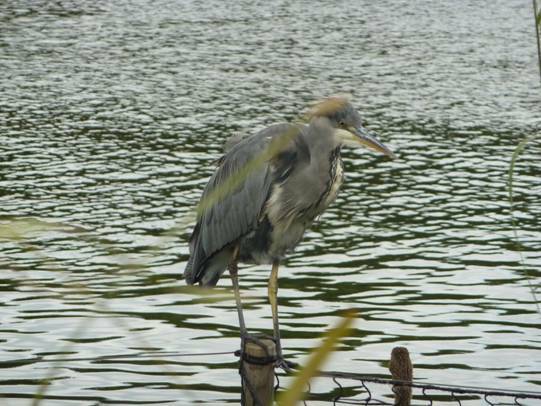 lf you are really lucky, you might see a heron at the side of the river. 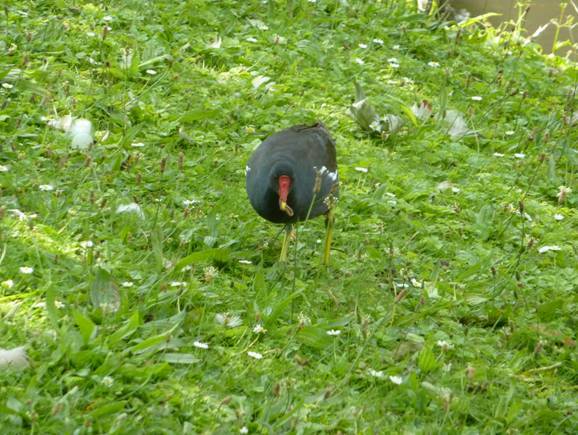 They are very tall and have long beaks. 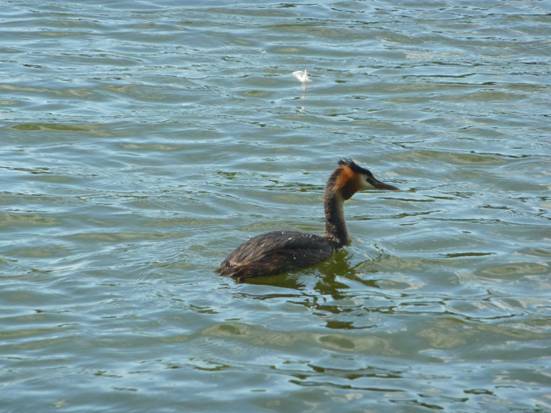 They hunt in the reeds and sometimes perch in trees. 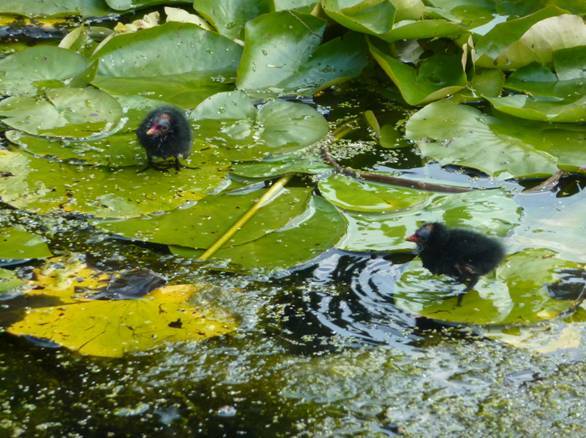 The ducks and the coots do sometimes come into Auntie Alice’s garden to look for food. 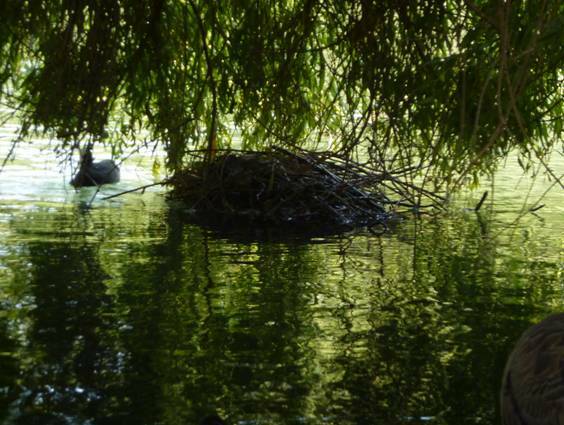 The ducks have even nested there, but it is a long walk for the ducklings to go to the river after they have hatched. 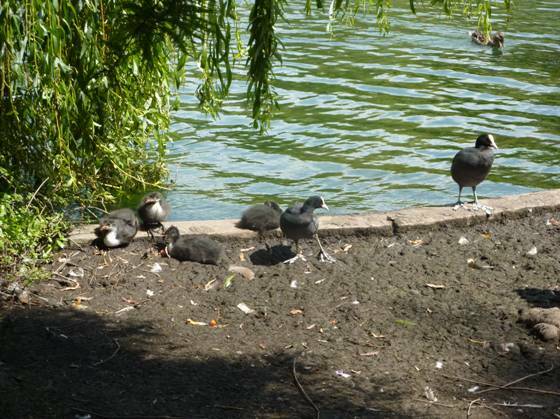 So next time you go to the park to feed the ducks, you will know a lot more about them, won’t you! Bill: Do you know what happens when ducks fly upside down? Bob: No. 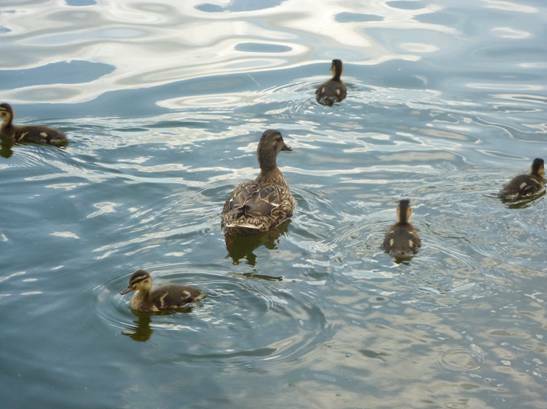 What happens when ducks fly upside down? Bill and Bob have prepared a puzzle for the news desk this week. 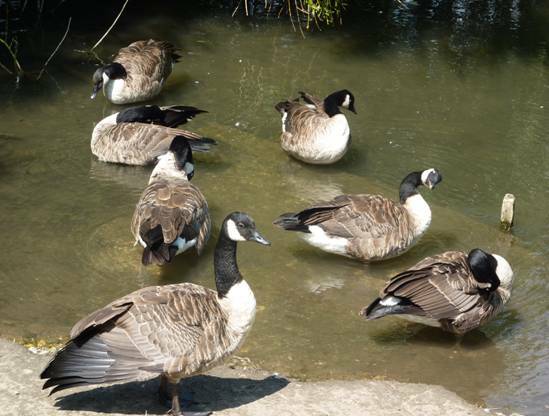 They love feeding the ducks on the river, and were only too pleased to help create another one of their puzzles when they heard what this week’s blog post was going to be about. 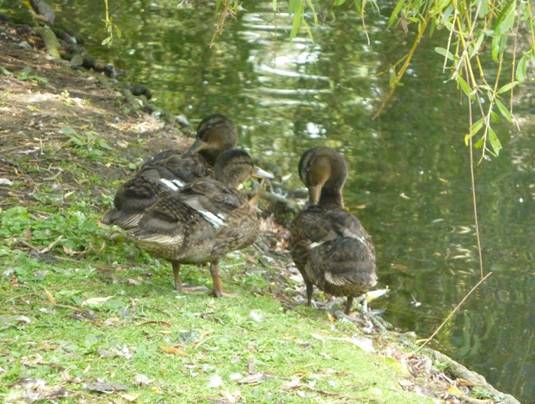 We buy special food called duck feed pellets, we don’t throw bread to them. 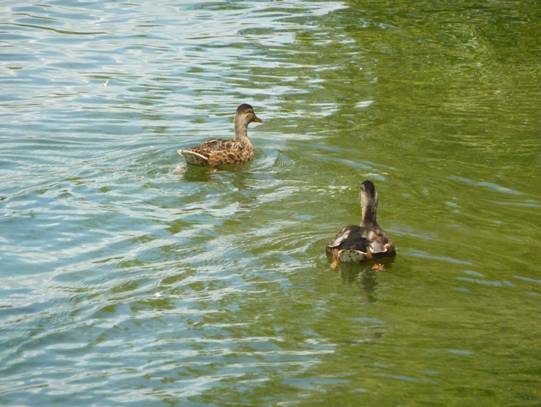 Bread isn’t good food for ducks. 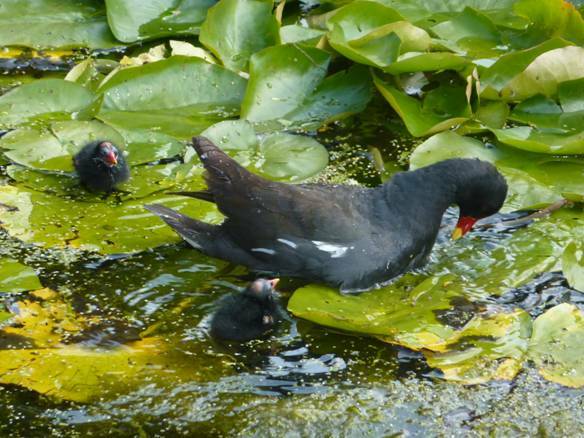 These are muddled-up words and the words are all to do with birds. 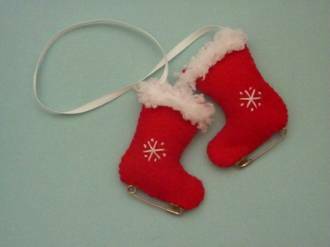 These cute little skating boots can be hung on your tree at Christmas. They are very easy to make. First cut out a paper pattern and when you are happy with the shape cut 4 pieces of felt in the same colour. 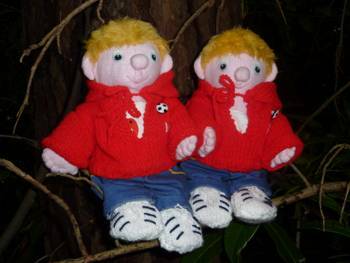 Then embroider a design onto two of the shapes if you would like to (make sure you are working on two outside pieces). Put an inside and outside section of the boots together. Using over-sew stitching, sew down the back of the boots, along the bottom and up the front. Lightly stuff the boots and then sew up the top. 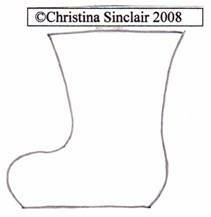 Cut 22cm of narrow ribbon and attach each end to the back corner of the top of each boot. Attach some textured yarn or braid around the top of each boot. Add a lace using embroidery thread to the front if you would like to. 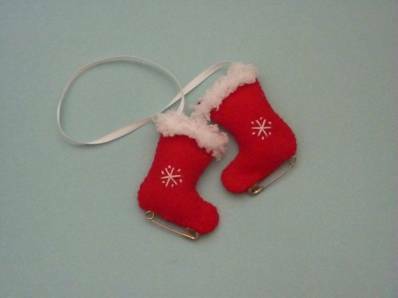 Slip a safety pin to the base of each boot to create an ice blade. *Be careful when you go ice skating that it is somewhere really safe. Some towns have ice skating rinks that are open to the public. 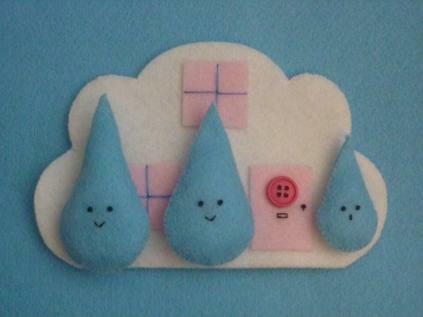 This raindrop family has a lovely cloud house to live in. 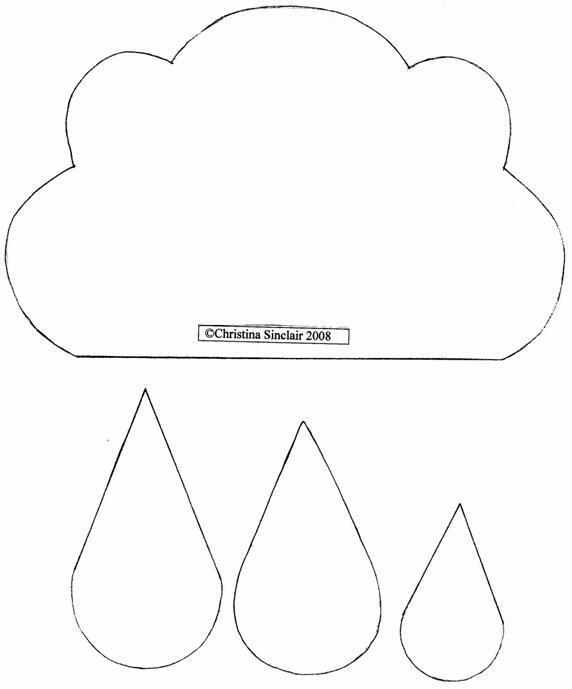 Cut 2 pieces for every raindrop. Embroider two eyes on the front of each character using French knots and two strands of dark grey embroidery thread. Wrap the thread around the needle 5 times for the father, 4 times for the mother, and 3 times for the baby’s eyes. 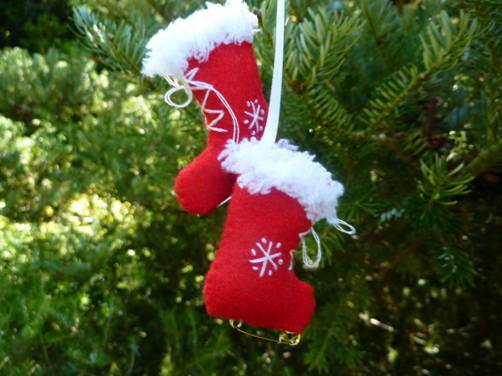 At the same time embroider a ‘V’ to make a mouth for the father and mother and a line for the baby’s mouth. 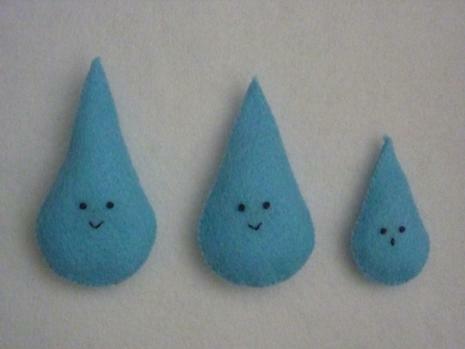 Sew around the front and back pieces wrong sides together leaving a gap for stuffing at the base of the raindrop. 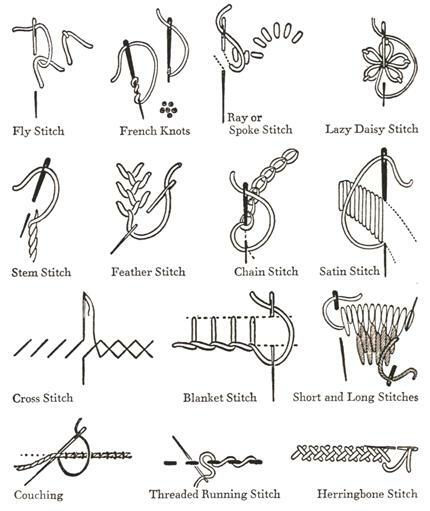 Use small over-sew stitches. Cut 2 pieces of cloud in white or light grey felt. (The base line of the cloud in the photograph is 13cm). Cut a door 4cm by 3cm. Cut 3 windows 3cm by 3cm. 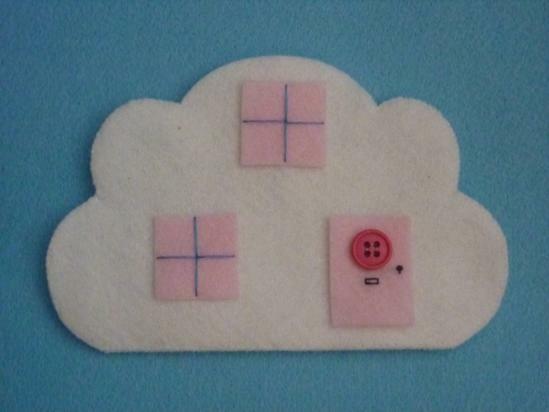 Sew the doors and windows onto the front and back of the cloud using two strands of embroidery thread to make window frames, key hole and letter box. 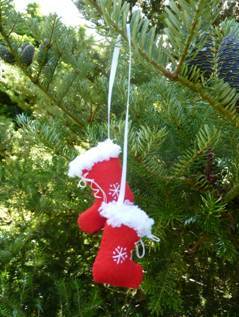 Embroider a window at the top of the front door or use a button to create a window. Sew around the door and windows using tiny stitches to make them more secure. Don’t put the door right to the bottom edge so that it interferes with the stitching around the cloud later – the door will be floating in the side of the cloud. Make sure the threads at the back do not loop too much so that the raindrops get caught on them when they go into their house. 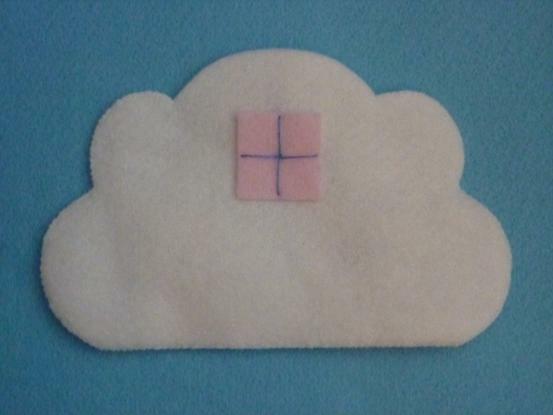 Sew the front and back of the cloud together wrong sides together; use tiny over-sew stitches, but leave the top billow of the cloud unstitched. Use a few extra stitches at each end of your sewing to reinforce the edges of the entrance. 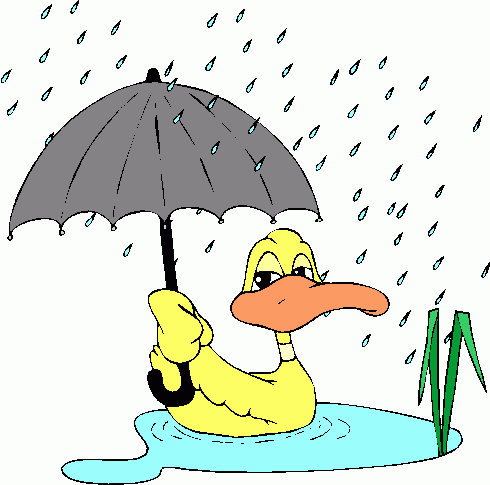 The raindrops should all fit in the cloud; entry is through the top. If you would like to make a rainbow family instead, make seven raindrops in the size of the baby – otherwise they won’t all fit into the cloud. 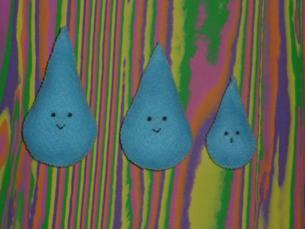 Each raindrop should be a different colour: red, orange, yellow, green, blue, indigo and violet.